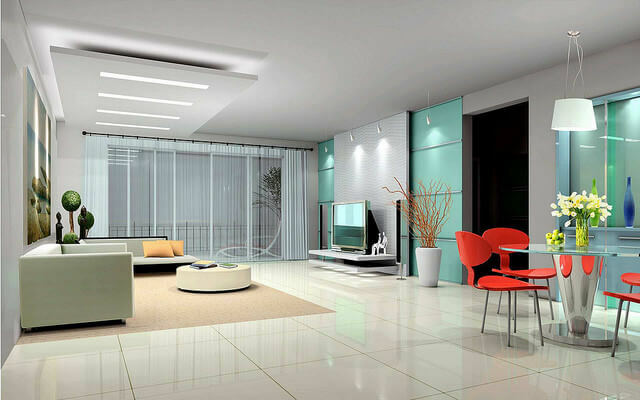 For those who are willing to invest huge amounts in buying their dream home, in cities like Bangalore are also very particular about making their interiors a class apart and interior designers say that wallpapers are one of the versatile and durable products that if used wisely can make or break the entire look of a house. Nowadays, even the builders have become flexible and are ready to make slight changes in the construction according to the buyers wish. For those looking to invest in homes in Bangalore, luxury villas available in the Whitefield area can be a good option as spending a huge amount also means that customisation to an extent is possible. As mentioned above we will discuss the feasibility of using wallpapers in accentuating the beauty of a home and making it look different from others. It is said that wallpapers are being used as an interior decoration tool ever since 1785 when it was first invented. However, during those days it was considered more of a background decoration item rather than a foreground decor accessory. With the changing times, the concept of decorating houses so as to match one’s standards and likes has become a trend. Therefore, the materials used for interior decorations have also evolved a lot. Wallpapers too have undergone this change. Even though the variety of options like textured walls, different kinds of paints, painting techniques, etc has been introduced in the market, wallpapers are still in demand. Where there is a section of people who opt for monochrome colors and modern-day geometric and 3D patterns, people who demand the Victorian era wallpapers, floral patterns, etc too are equally high in number. There are also villas for sale at Varthur Road, which come under this category. Either single or double layered, these are the conventional wallpapers. One of the most popular types. Cellulose is the main component used in them and therefore they are ecological, affordable and accessible. However, these wallpapers when exposed to sun undergo discoloration and they are also not washable. Unlike traditional wallpapers, these consist of a base layer made of either paper or fiber and a plastic upper coating, and therefore these are washable, light-resistant, durable and relatively cheap. This makes it ideal to be used in any rooms. Moreover, they also have a lifespan of 10–20 years. But these cannot be used in areas that are not properly ventilated. These are a bit more new age wallpapers as they are mainly used to provide depth to plain walls. Being textured wallpapers these can be used to create various geometrical patterns that are trending nowadays. These are in vogue mainly because these are applied in a liquid form with the help of a special spatula. The greatest advantage of liquid wallpapers is that it can be used for uneven walls, defects, and even cracks. Repairing these is also very easy when compared to other wallpapers as one only needs to remove the coating from the required area, mix with water, add fresh filler and apply spatula back. The area gets dry in 24 hours and the location looks exactly new. It is also ecological and easy to use. Wallpapers can explain the style quotient of the owner of the house in a little more sophisticated way than textured walls or paints give. Opting for some irregular patterns or bold patterns can elevate the decor of the house to a global level. These also add a lot of drama to a particular wall. Without investing much on lightings or using expensive paints, nowadays decorative wallpapers are available which if used properly can elevate the entire look of a normal house into a luxurious one. For those who are interested in bringing in the elements of nature in their home, using wallpapers is a feasible idea. Various floral pattern wallpapers are available in the market that along with providing a vintage look will also bring in the element of nature into the home. Above all, a perfectly done wall using classy wallpaper acts as a piece of art and there is no need to add more elements to increase the aesthetics of the room. PrevHow Is Content Marketing Important to Make Your Business Grow?